When you are moved to send condolence gift baskets in the Fremont CA area, stop at our online store. At the Fremont Memorial Chapel Sympathy Store, we have chosen a wonderful selection of bountiful gift baskets of all varieties. It is natural to want to extend a meaningful gesture to express support for the grieving family. Gifts of sympathy flowers, sympathy plants, or a sympathy food basket are a lasting way to express love and comfort. Express your heartfelt condolences with the selection we have at the Fremont Memorial Chapel Sympathy Store. The delicate beauty and fragrance of sympathy flowers, a lasting gift of live potted plants, or a basket of food convey condolences and support when words fail. We have a very nice selection of fruit baskets, gift baskets, sweet baskets, kosher baskets and coffee & tea gifts. Sympathy gifts are delivered directly to the home of the surviving family. Visit the Fremont Memorial Chapel Sympathy Store and find the most fitting sympathy gift to express your condolences. For large sprays and wreaths of Funeral flowers and floral arrangements, shop our store first. Flowers for a funeral should arrive at the funeral home before the first visiting hours and should be there when the family arrives. Funeral flowers are delivered directly to the funeral home. For some, nothing so beautifully expresses eternal love at a memorial service or funeral than fresh flower arrangements. We have made it easy to order funeral flowers for direct delivery to our funeral homes. We offer a breathtaking selection of with flowers for the funeral service, flowers for the casket, sprays, crosses, wreaths, and more. Our beautiful arrangements may be ordered from our online flower shop. We believe our arrangements are an exceptional value. Fremont Memorial Chapel is a family owned funeral home serving Fremont CA. 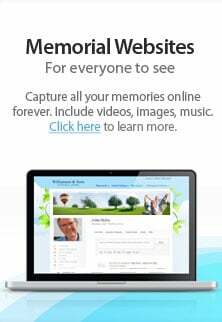 It is our hope that this website can provide you all the resources you may need plan funeral arrangements and memorial services. Many people are overwhelmed with grief after the death of a loved one and look to others for guidance. Our compassionate and capable funeral directors guide you in any decisions you make to honor the life and memory of your loved one. We do what we can to help you fulfill the final wishes of your loved ones. Turn to Fremont Memorial Chapel for dignified, high quality funeral and cremation services. Fremont Memorial Chapel offers traditional funeral services of all denominations. Each of our locations are staffed with funeral directors fully capable of offering friendly and understanding funeral services every step of the way. Our dedication to doing so has long been a source of pride, and we are perfectly happy to welcome all who may need our funeral services and direction at their time of need. Whether you need emergency services or are looking to make sure your own future is one day handled to your exact specifications via our Pre-Payment funeral plan, Fremont Memorial Chapel will make sure all is taken care of. All of the potential difficulties in the decision making process (such as matters of budgeting) will be handled with as much patience, understanding, and assistance as we can possibly provide. This is especially important given the stress and strain often associated with funeral arrangements.